After making the first version of the Mars Tote Bag with the beautiful red leather, I decided to try my hands at making a bag that could be zipped for security. This would allow the top of the bag to be fully enclosed to prevent items from falling out or being taken. The inside of the bag would also have a sleeve to hold a small laptop or tablet. 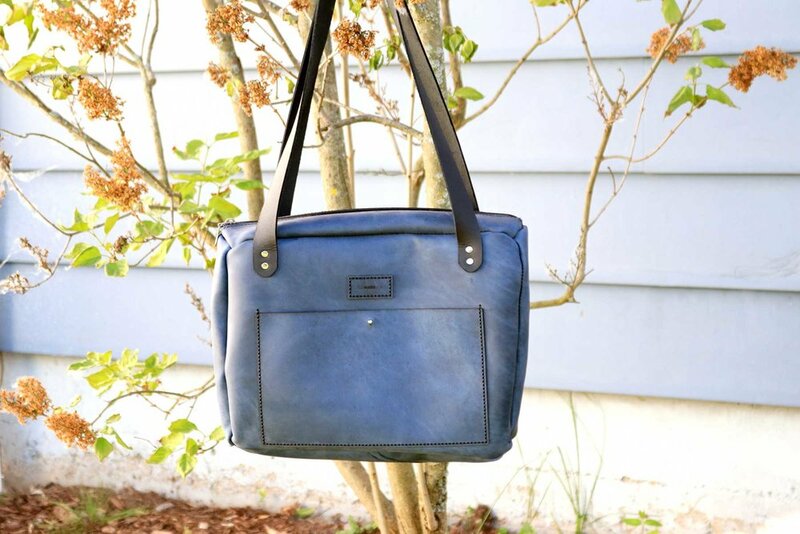 For this project, I decided to use beautiful thick blue leather that would allow the bag to stand on its own. The overall design of the bag is the same as the Mars Tote Bag where there are two large pockets and thick black straps. This particular bag would have a sleeve on the interior for stowing away laptops and tablets as well as a zipper top. During the stitching process of this bag, the hardest part to bring together was the top surface with the zipper. While stitching, I decided to stitch two sides of the top zipper piece, turn the entire bag inside out, and finish stitching the bag in its final form. This was difficult for many reasons with the biggest one being the alignment of stitch holes and the leather being slightly spaced apart. Overall, the Mars Zip Bag turned out beautiful with the same elements as the Mars Tote Bag, but a secure zipper top. Once I finished stitching the bag, it gave me ideas for making a messenger bag at some point in the future. It was a great prototype to learn from and I’m excited to have found a good process for hand stitching zippers onto my larger projects!